To many Christians in the Middle East today, a “momentary, light affliction” means enduring only torture instead of martyrdom. The depth of oppression Jesus followers suffer is unimaginable to most Western Christians. Yet, it is an everyday reality for those who choose faith over survival in Syria, Iran, Egypt, Lebanon, and other countries hostile to the Gospel of Christ. 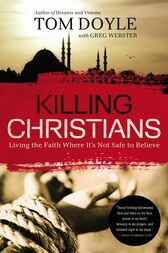 InKilling Christians, Tom Doyle takes readers to the secret meetings, the torture rooms, the grim prisons, and even the executions that are the “calling” of countless Muslims-turned-Christians.